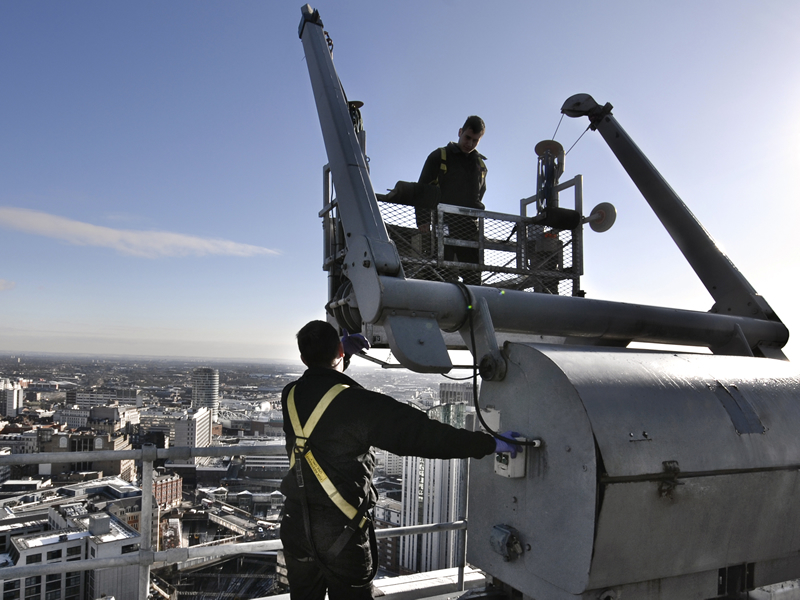 For working at heights, many buildings have cradle systems to allow access to the external face of the structure to permit cleaning and maintenance. Many buildings have bespoke cradle systems that are used by window cleaners to access external areas and many internal atrium styles. Each cradle is specific to the building and is either electronically or manually operated. Whilst the equipment itself has many safety features, a building owner must have a current test certificate for load and track. Clifton National Window Cleaning operatives are required to pass a training course on each type of cradle before they can use the equipment.